British Prime Minister Theresa May has been accused of trying to stop Donald Trump from meeting Nigel Farage on his upcoming visit to Britain. A Whitehall source said a ban on a meeting with Mr Farage, the former UK Independence Party (Ukip) leader, is a red line for 10 Downing Street in the negotiations about the visit by the US president on Friday next week. The source said No 10 made it clear the US president "must not meet Farage" in the talks over the itinerary. US officials were in London last week to try to nail down the plans for the trip, which will see Mr Trump and his wife Melania meet with Queen Elizabeth. 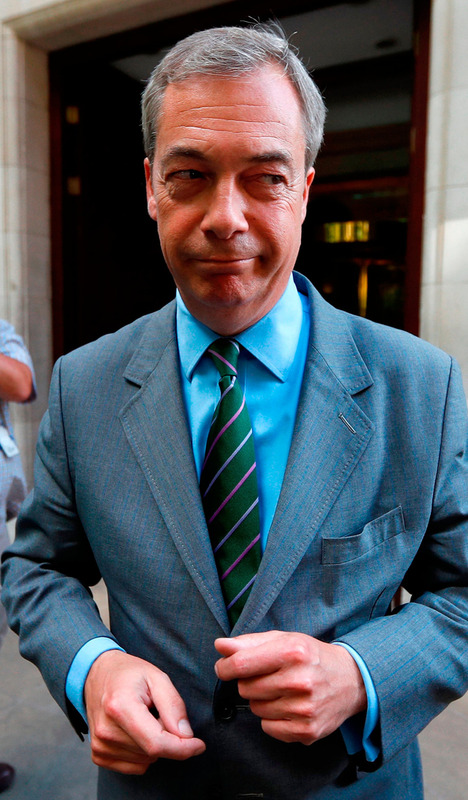 Mr Farage added that he had been told the UK government had made it clear that it did not want Mr Trump to meet with him during his visit "through the normal protocol channels". "I understand that through the normal protocol channels established between [the countries] ahead of a visit that they are very keen - almost paranoid I was told - that he [Trump] doesn't meet me," he said. "I just despair of this government - they don't seem to understand that concept called the national interest," he added. Mr Farage said he did not want to embarrass Mr Trump. But he said he would meet if the president asked to see him. A source at 10 Downing Street played down the claims, saying it was "not even aware of a meeting being requested", adding that "either way we are not trying to stop one". The US embassy in London declined to comment. It is understood that a meeting with Mr Farage has not so far been raised by the White House.